Lavietes-to-be: a rendering of the renovated entry façade, scheduled for player and fan use by the beginning of the 2017-2018 season. Courtesy of Bruner/Cott& Associates, Inc.
Zena Edosomwan ’17, shown in action in Lavietes last winter, will complete his final Crimson season as the arena is in the midst of renovation; by the 2017-2018 campaign, it is scheduled to be thoroughly renewed for athletes and fans alike. Harvard’s Lavietes Pavilion, built in the 1920s as an indoor-track center and converted to basketball use in 1982, is being extensively renovated and modestly expanded. Construction began in May, and as the fall term began, workers had installed new foundations and were erecting a steel superstructure at the front (southern) entry. After an autumn and winter pause to accommodate the men’s and women’s basketball seasons, construction will resume next spring. When work concludes (next September is the target date, prior to the fall 2017 season), the existing front façade will have been demolished, expanding the building into 5,000 square feet of new space, yielding new team locker rooms and coaches’ offices. Fans will make use of a new entry, and will be served at upgraded concession and merchandise areas. The arena will be equipped with modern restrooms, new bleacher seating, and an upgraded video board and sound system—de rigueur amenities—and refitted with energy-efficient lighting fixtures and contemporary heating, ventilation, and air-conditioning systems. In effect, the venerable sports venue (long known as Briggs Cage) is being brought up to modern standards, along the lines of the recent refurbishment of the nearby Bright-Landry Hockey Center. This represents a significant change of plans for the basketball program. In Harvard’s institutional master plan for Allston, approved by the Boston Redevelopment Authority in 2013, one of seven new projects envisioned for the next decade was a “mixed-use facility and basketball venue.” As described then, “The University intends to build a new basketball venue,” of approximately 60,000 square feet with 3,000 seats (Lavietes has 2,195 spectator spaces). It was envisioned as part of a mixed-use project, totaling 270,000 to 340,000 square feet—encompassing the basketball facilities, affiliate/graduate-student housing or offices, and ground-level retail stores—all sited on the western side of 175 North Harvard Street, just north of the new Continuum apartment complex. The selection of the basketball venue site was the product of a careful analysis of various siting options within Harvard’s Allston property. Central to this analysis was the goal of maintaining the University’s athletics facilities within a cohesive geographic district, allowing for functional activities and connections to be optimized, and enabling students to move comfortably and safely between different athletic facilities—e.g., locker rooms, fitness venues, etc.—at various hours of the day. The study began with an assessment of the existing conditions of the buildings and fields within the Athletics district. This assessment recognized that athletic playfields are critical components of the overall athletics program, and that their locations, sizes and clustering reflect the programmatic needs of the athletic activities that they support. The fields are heavily utilized by the University’s students and others. Significant changes to this network would need to reflect the requirements of the basketball program, and would need to represent an improvement upon the dynamics of the existing field network. 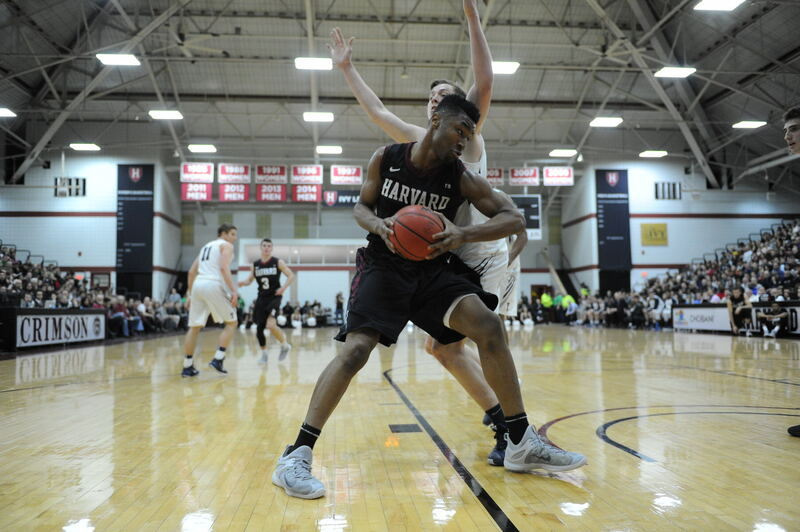 No sites for basketball within the Athletics district were available that would not require major reorganization and reduction of Harvard’s network of playfields. In considering the best location for basketball, a key criterion was how best to optimize event atmosphere for athletes and Harvard community in the spirit of Ivy League competition, ensuring that the facilities work not only as competitive sites, but also as venues for the Harvard community to enjoy as meaningful stages for the excitement and camaraderie of collegiate athletic contests. This demands comfortable seating with excellent sight lines and acoustics. 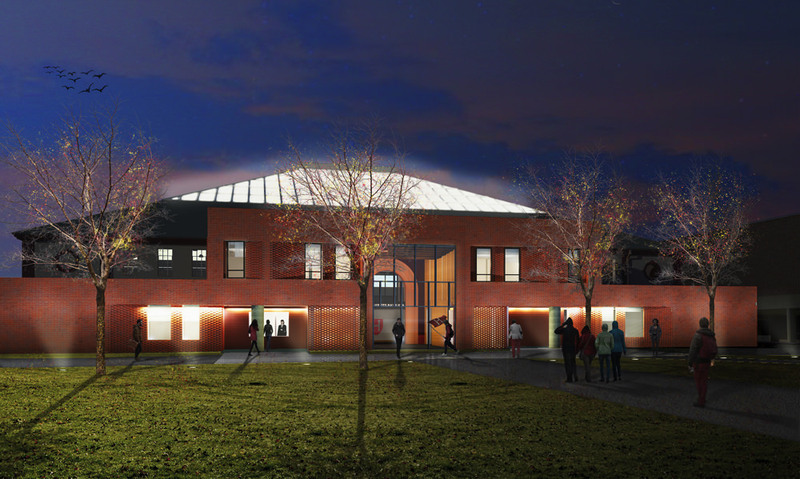 Major renovation of the Lavietes building, Harvard’s current basketball venue, was considered and, while feasible, was not viewed as the best means of achieving the goals stated above. This 1925 facility is considered undersized, and would require extensive building system improvements, and if renovated would still not produce a basketball arena comparable to that of the planned new facility. This overall analysis concluded that the basketball venue is most appropriate in the proposed location at the edge of the Athletics District…. Whatever the merits of that reasoning, the decision has now been made to renovate Lavietes. Given the scope of the work, it is a multimillion-dollar renovation and refitting program—but likely a fraction of the costs for a wholly new, 3,000-seat venue (for which early chatter had estimated a price tag in the multiple tens of millions of dollars). At a time when the University is insisting on philanthropic support for most new construction, the Lavietes renovation is understood to be nearly all paid for with donor support already in hand, and with a high degree of confidence about filling any remaining gap. Financial feasibility and timing aside, remaining at Lavietes may have other virtues. Basketball is successful on campus now; a new venue farther away from the core undergraduate residences across the river might discourage casual attendance. Home games are fun when they are filled with boisterous fans, and filling a new arena with nearly 40 percent more seats could be more challenging when the teams have less successful seasons—or the weather is inclement. Whether the spiffed-up, expanded Lavietes fulfills every element in Harvard basketball coaches’, players’, and fans’ visions, or not, it will be better than the venue that has been home to very successful programs in recent years, and it will be available very soon. The engineers and applied scientists who pine for their new home on Western Avenue should be so lucky: they don’t get to move until 2020.